The World Baseball Classic in which America won its first world championship, caught my attention before the season began. Winning brought America together, adding joy. Presently, there is political and racial divide across the country leading sports and politics to collapse. Major League Baseball is in the middle of this illustrated unity with its professional players and the future of the game. Now the vision of Little Leaguers and professional baseball players hanging out and actually watching each other play in the same ballpark is award winning and cool, especially when the reality of it turns out better than the vision itself. Here are the details of the vision or idea. In the middle of the Little League World Series, let’s have two MLB teams play each other in Williamsport, PA for the first time. Josh Bell homered and drove in four runs leading the Pittsburgh Pirates over the St. Louis Cardinals, 6-3 in what is named the Little League Classic. This game counted in the win column however there was not a loser in this game. Bell, earlier in the day, did not spend time in the batting cages instead spent the afternoon with Little Leaguers who just admired his presence. There was more than baseball talk. Bell was loose and he demonstrated that at the plate as was the entire days’ environment full of activities with the young baseball players. ESPN broadcasted the Little Leaguers game between Connecticut and Texas in which the interaction was live, and every second from the game involved Cardinals and Pirates players interviewing young baseball players in the stands while they all sat mixed around the ballpark with different teams. Many of these Little Leaguers will not make it to the professional level. Christian Mumphrey for Texas was 2-3, with 2 HR and 3 RBI in a 6-3 Texas win. “Its like a dream, I never thought we would play in front of Andrew McCutchen,” Mumphrey stated. 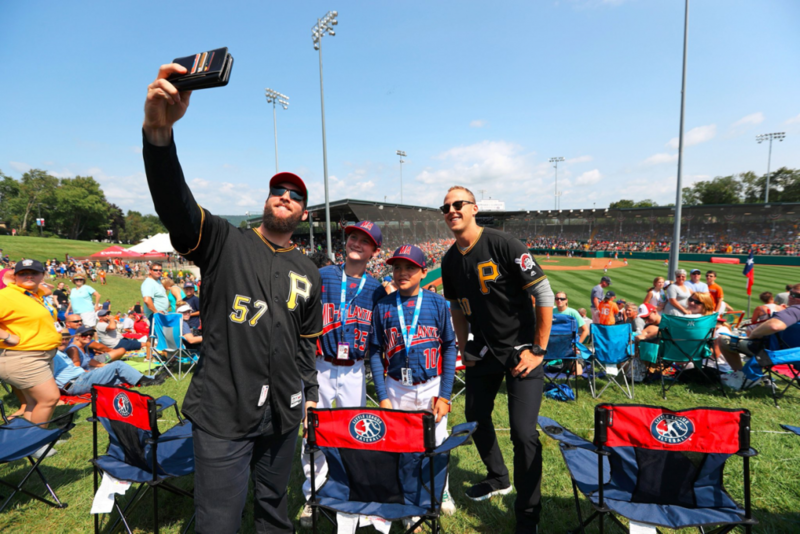 The Cardinals and Pirates played at renovated Bowman Field, a 91-year-old minor league ballpark located five miles from where the Little League World Series is taking place. Cardinals manager Mike Matheny also appreciated the atmosphere inside a 2,366-seat venue that was packed with 2,596 fans. Sitting in the front rows were esteeming Little Leaguers who got to socialize with the professional stars earlier in the day. It is all part of a Major League Baseball initiative or vision to celebrate youth baseball. St. Louis players Lance Lynn and Randal Grichuk both starred for their respective Little League teams. Grichuk made back-to-back appearances in the Little League World Series for Richmond, Texas, in 2003 and 2004. Lynn’s team from Brownsburg, Indiana, went 0-3 in 1999. Again, not everyone will make it to the professional level, but that’s not what the game was about. After the final out of MLB’s first regular-season game in Williamsport, the Pirates shook hands on the field as usual following a victory. And then — in a gesture to Little League Baseball — both teams lined up at home plate and shook hands with each other, throwing in some hugs and high-fives to finish off a feel-good day. Little League players took part all night, beginning with the opening pitch. 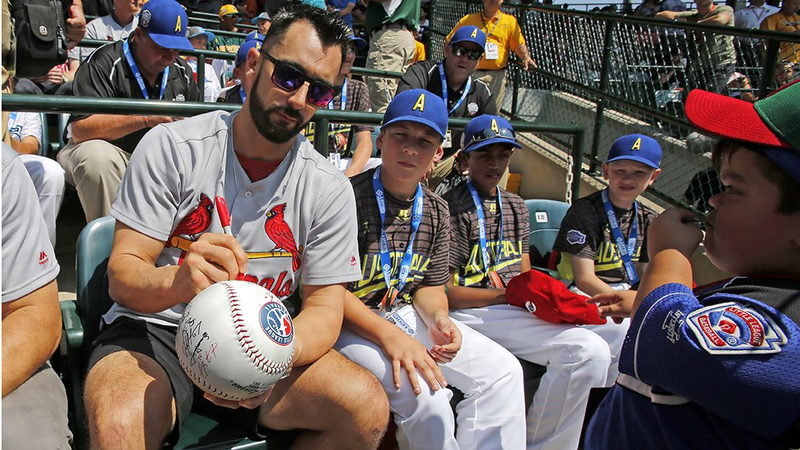 They also got a chance to take over the stadium’s public address system, announcing players as they walked to the plate, and were treated to nearly 200 snow cones bought by Cardinals outfielder Tommy Pham. It was an all-time great day in the history of the Little League World Series. MLB adding its vision to it made it better than what anyone could have imagined.